Over at Knuckledraggin My Life Away, the host posted the above hospital bill, without comment other than the post title "Inflation", from Feb. 1933, which tallies to $120.30, if I didn't muck up the math in my head. You can read the site comments for the range of replies, but what strikes me most is nostalgia for a time that, frankly, sucked poop, by people who - none of them, to a near certainty - actually lived through it. Someone alive in 1933 would be 85 today. Anyone who remembered it at all would thus be 90+. So Sherman, let's set the Wayback Machine for 1933, and see what we find about how it really was. 1933 was the height of the Great Depression. The Dustbowl was about to kick in. Al Capone was a free man. The mobs ran speakeasies. And you couldn't get a legal drink anywhere in the U.S. in February. Prohibition wasn't repealed until December that year. Depression breadline, NYFC. Two blocks long, five guys wide. Two cops for order, and everybody dressed like gentlemen. (Unless you're from Trashcanistan or Shitholia, you've never seen 25% unemployment nationwide. Pray you never do.) Breadlines and soup kitchens to keep people from starving outright were a daily reality, had been for 3 years, and would be for another 7. Because many lacked the 7¢ necessary to buy a loaf of bread on their own, or the 10¢ price of a can of Campbell's Soup, and didn't have a pot to cook it in. Purely from an inflation standpoint, that would be about $7000 today, if we use gold. If we used gasoline, it'd be 1203 gallons. Which averages to $3600, give or take. About 6 weeks' salary in 1933. Or 7 months' average rent, for a two week stay. 1/4 of the price for either an average house, or a new car. If you were lucky enough to have a job at all, anywhere in the world. And after a decade of battles in the streets in Germany between national socialists and international socialists, including armed coup attempts, the Germans had put Hitler in power. That would pay dividends to the world right up through today. And this was when a hospital, for the most part, was simply a motel, with round-the-clock maid service. There wasn't a helluva lot of medical practice going on for having a baby at that point in history, in any sense. Infant mortality in the U.S. in 1933 was 57.1 (deaths per 1000 live births). One in 20. Now, it's 5.8. One in 200. A tent and a wood stove, in the woods? Luxury! Odds were one of those six kids wouldn't survive to age 18. Like dad and mom, most would be picking crops as soon as they were able. Which somehow got harvested before large-scale machines, and yet without importing 40M freeloading illegal aliens. Amazing. Flu, TB, and diphtheria were huuuuge killers, worse than cars and guns combined. Everybody got measles by age 15, and it killed 6000 kids/year, year in and year out, for another thirty years. Smallpox and polio were still a thing too. The treatment for extremity infection, unchanged since the Civil War, let alone medieval times, was amputation, made only slightly less horrifying by surgical anesthesia. But as penicillin was only accidentally discovered in 1928, and its medical significance unrecognized for over another decade, it was not even an option in 1933. Systemic infections, like an ordinary urinary or kidney infection, were another top killer. Imagine dying from an ordinary UTI as one of top ten killers. Or paying 1/4th the price of your house to have a baby. Nostalgia? For suckers. Things are pretty nice right now, thanks. Learn to appreciate what you've got. But if you've still got a hankering for the Great Depression, even odds are you're going to get a first-hand experience one of these days. Because the world's economies are living on a monstrous bubble. Best see about a plan for that. Nostalgia? Hardly. I greatly appreciate modern medical and dental knowledge and skills. I appreciate modern pharmacology and hygiene practices. My Dad was six in 1933, I'm confident he prefers and appreciates these and many other things as well. I drove myself to the ED when my appendix ruptured, it sure was nice that I didn't have to shift my own gears. That alone was enough of an advantage even without the antibiotics and prompt and talented surgical team. Can't think of a thing from 1933 that I'd be wistful for. My entire direct family managed to skip the Depression part of the Depression by either being a Marine in Shanghai at the time (other problems came with that), or by living in Shanghai and working for Standard Oil, or being a sailor in her Majesty's service, or just living off of the family whaling and railroad money. Even so, a bill like that would have been seen as pretty stiff - people forget "inflation". My family were and still are remarkably frugal - wealthy Aunt sewed her own underwear and grew her own food and canned it. Yankee blood, Yankee thrift. You don't stay wealthy by blowing it all. There's nothing in 1933 I'd be wistful for - but the 20's? Part of my family was partying it up in Shanghai and that would have been some fun - the jazz clubs and old Shanghai. Medicine sucked for certain though. Everyone got mumps and measles and everything - pretty damn horrid. Jazz clubs and disease... very strange world to us now. The 70's though, I was on the tail end of house calls and we had antibiotics and surgeries. Sure the anesthesia of the time sucked, so did the CT scans, but my life was saved a few times. Bills weren't as high either because the government hadn't come into everything full-force and screwed it all up yet. I'm thankful for the advancement of medicine. I am not thankful for the advancement of bureaucracy. Wasn't it you who quoted P.J. O'Rourke? "When you think of the good old days, think one word: dentistry." Not me, but I love the quote. Back in 1933, mid-wives and home-births were a very common thing, hospital births not so much. Even if a child was born in a hospital, if it was a critical case, most likely the child did not survive. We all know what happened with critical cases during home births. Rather rack up the expense and have a live child than a wad of cash and a funeral, maybe for child and mom. Dad (RIP) used to tell me how good we had it. Said when he was a kid, he could stand at a street corner and looking all 4 ways, could spot at least one polio striken individual - guaranteed. Told me Jonas Salk was treated as a god after the vaccine was given out. Dad worked from age 10 to age 65. His father had a hole in the wall grocery store and Dad biked groceries to customers for the grand sum of 10 cents a week. A WEEK. My grandmother was the envy of the neighborhood, since she had a washer ringer. Of course, it didn't run on electricity, but was more convenient than the standard tub and hand wringing. She would wash, hang the clothes to dry, and hope the local refinery wouldn't belch a huge plume of sooty smoke. If that happened, she's have to start all over, and then cook my grandfather's lunch on a wood burning stove. Things were hard back then. The physical labor killed many, or left them crippled. Food was never a guarantee, home remedies could be as terrible as the illness, and mothers feared polio. 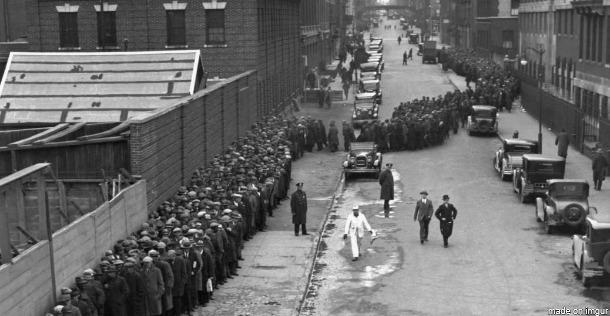 When the vaccine for polio was finally accessible, we stood in line for hours for our chance to be free of the crippling disease. In my twenties my favorite Uncle educated me on this topic of which I never really thought about. Someone commented on cars stating they don't make them like they used to. My Uncle corrected him. "They make them better, I will take A/C any day of the summer". July - August it reaches a 100 degrees some days. Life is a thousand fold better and I am thankful. My mother was 9 in '33. Her father was in the employed 75%. Her parents told me stories. In 1933 my grandfather was probably making around $1,000 to $2,000 per year. A bill for $100 would have hurt, but wouldn't have been impossible to handle. It was a hard time for the 25% who weren't employed. Most folks were doing OK, even if they were worried. In the reign of 0bammy, our employment rate got down close to 60%. Instead of breadlines we had EBT and disability, with nearly 20% dependent upon them. Most folks were doing OK, even if they were worried. Speaking of inflation, how much would an equivalant length hospital stay cost today? You would surely get more for your money, but how many months wages to pay for it? NFA wasn’t passed until 1934, so there’s at least THAT from ‘33 to be wistful for. Anything medical? Yeah, notsomuch. I remember a story that Isaac Asimov (IIRC) in a conversation at a party once told a woman that was going on about how much better it was in the old days when it was easier to get servants for the home that statistically she (and he) would likely be the servants. Love how the people longing for a "better time" never have a realistic appreciation for what their particular situation would be. Always the aristocrat (genetic Euro style of monied American style), never the schmuck mucking out the stable or living in the slums of London or NYFC. Always at least a Colonel if not a General (probably Calvary), never line infantry "scum of the earth, enlisted for drink". Never a slave or indentured servant, etc. I'm not THAT old and I remember as a kid how much pain was involved in a trip to the dentist. Now? Only if they are a Habeeb and don't even try very hard. Every era gets worse, of course. That is what a economic contraction looks like. There was more freedom of thought and expression and lower taxes. But, sure, better dental. Hell, better shoes ( comfort wise, not quality ). The good old days are certainly better. In SOME things. And worse in others. Hasn't that always been the case? A hundred plus years ago, food was a LOT healthier ( the nutrients grown in fertile soil, NOT the scams in packaging out of date food ). But now, you get as much plus more than you need, whereas you could starve then. Best to appreciate those things that have gotten better, but beware of the great deal of things that have gotten worse. Came across this stat the other day: since 1990 the percentage of children worldwide who die before age 5 has been more than cut in half. From about 9% to 4.25%. That's within memory of every reader here. In 1990, 12 million kids died. By 2015 that number had dropped, by over 6 million. It's not to say having around 5.8 million die before age 5 is a wonderful thing, but it beats the heck out of it being 12 million. I get something like 15,000 kids a day lived who would have died not even 20 years ago. A fully loaded 747 could have 600 kids on it. That means 25 fully loaded 747 crashes that didn't happen every day. It's largely due to the reduction in worldwide poverty. 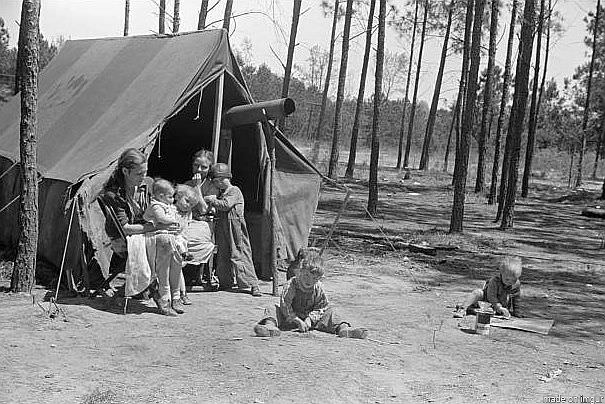 The real kind of poverty - living on less than $2/day - not "Poverty American Style" which is still luxury reserved for "the royalty and aristocracy of the 19th or even early 20th centuries" as RandyGC said. Which is to say it's largely a result of free markets. As for the price differences, most of it is the devaluation of the dollar. Some of it had already happened by 1933, compared to the start of the Federal Reserve. Nobody likes to think of it, but the general reason their house price goes up is devaluation of the dollar - inflation - because of the Fed. Sure, if they happen to live somewhere that's "in demand" or if they did a lot of improvements, the price gets bid up, but for most people it's not that. Well, then, let's try a more contemporary example of med-cost inflation!! My oldest will be 41 next month. Total--all-in--pregnancy, labor, delivery, was $1,000.00, including 4 days' hospital stay and a pretty good steak dinner for both of us. We had Blue Cross/Blue Shield, and paid zero, zip, nada, for the whole thing. My last one will be 23 next year. Pregnancy, labor, delivery, 2 days' hospital stay, no meals: $8,000.00 or so. Down-the-chute delivery, nothing strange. I could have done it (and maybe SHOULD have.) Paid about $2,500 in co-pay/deductibles, too. Good point, long's you could afford the price and ammo; less of course GrandDad brought stuff home from the Great War. which of course he DIDN'T ... honest. Classic! Passable homage, but you can't beat the original. told this about the depression by an old timer in her mid 90's : we did not notice it, we were always poor. I work around millennial service members; they are WELL up to the task. As an aside, we still have breadlines of a sort. we just hide them better. Half of kids get school lunches and over 40 million people get SNAP. This also doesn't include people who get food boxes or the like. Lots of reasons for this but absolute poverty in some areas didn't exactly go away, its still out there. When I was a little kid, I got my first two wheeler bike as an Easter present. Since it was a long weekend, once I got the hang of it, I pretty much stayed on it the whole weekend. Come Monday morning, got out of bed and promptly colapsed crying from the dealyed onset muscle pain from the weekend of overuse. Hearing me crying, my Grandfather (my Grandparents had come to visit for the holiday), came in and found me on the floor next to my bed crying and unable to get up. He turned white and damn near fainted. I didn't understand what had upset him so much. My mother explained to me about polio and how every year or so when she was a kid, there would be an outbreak How the polls would be closed etc etc. There were still the charity boxes shaped like a little kid with a leg brace at the supermarket when I was growing up, and still the odd person with a leg brace walking around. I also remember lining up for my smallpox vacination. 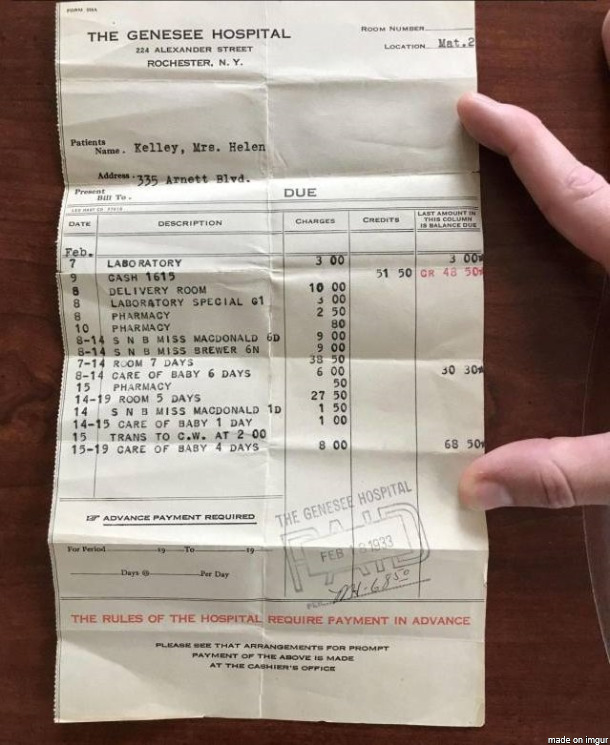 My Dad was FURIOUS about the bill for his first child - $110, for delivery, 2 weeks care, and sundry charges. He stormed down to the Accounting office and said, "I only wanted to RENT that room, not BUY it!" Our first child was our $10K+ baby - if we'd had to pay for it ourselves. Insurance took care of everything, thank God. The funny thing was, we were dithering whether to just pay for the delivery ($600, at the time), but, decided to pick up the insurance to the month before the conception (I had just been hired at a University, and they were willing to do that). We flipped a coin, and made out HUGELY, by avoiding the major hit when she was born with multiple problems.